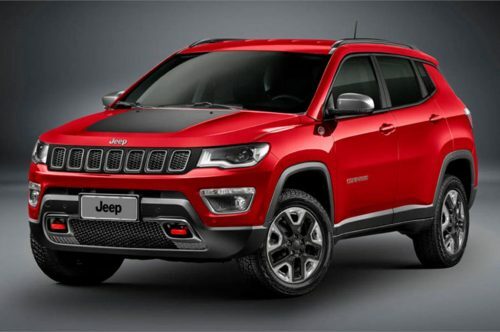 Jeep India has the Compass as its best-selling model for long and in fact, the premium SUV is the only volume bearing product within the brand’s domestic lineup. In recent months, the Compass’ popularity has certainly faded away despite the addition of new variants and special editions and thus the smaller Renegade is expected to launch sometime next year. As part of further expanding the Compass’ range, Jeep will be bringing in a new top-of-the-line variant known as Trailhawk. The famous moniker within the American brand’s portfolio is finally entering India as early as July 2019. The speculations of the Compass Trailhawk’s debut have been there for more than a year. However, Jeep stretched the timeline and it has finally been officially teased. It comprises of a slew of cosmetic and interior updates along with changes focussing on increasing the off-road ability of the Compass. On the outside, the Compass Trailhawk gains silver ‘Trail Rated’ badge on the front fenders, prominent skid plates and redesigned bumpers up front and rear. Other important exterior features are Trailhawk badge on the trunk lid and all-terrain 225/60 R17 rubber topped off by two-tone colour scheme. For better off-roading characteristics, it gets 33.6 degrees departure angle, 24.4 degrees breakover and 30 degrees approach angle. It will also be offered with an Active Drive low-range four-wheel-drive system. All the mechanical upgrades have enabled a higher ground clearance by 20 mm. The new Rock mode comes courtesy of the Selec Terrain 4WD system. 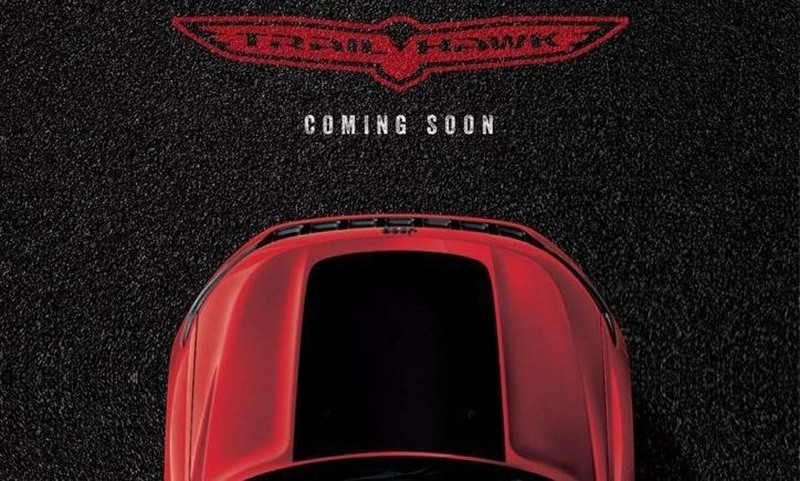 The Trailhawk measures 4,398 mm long, 2,033 mm wide and stands 1,529 mm tall with max. water wading depth of 482.6 mm. 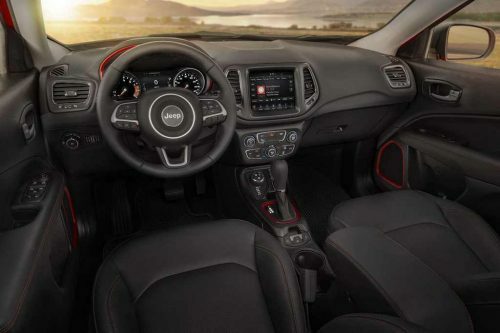 Stepping inside the cabin, you will be treated with all black leather seats with Trailhawk badge, contrast red accents, dual-zone climate control, panoramic sunroof, all-weather floor mats, 7-inch UConnect infotainment, Hill Descent Control and so on. It will use the standard 2.0-litre four-cylinder diesel engine making 170 hp and 350 Nm of peak torque. However, it is mated to a new nine-speed automatic transmission. Expect the price range of the Jeep Compass Trailhawk to be in the vicinity of Rs. 25 lakh (ex-showroom, New Delhi) in the Indian market when it goes on sale.